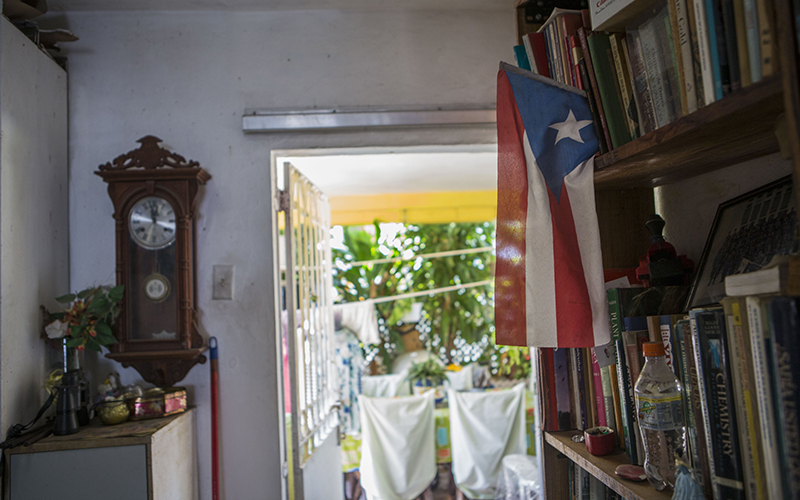 PONCE, Puerto Rico — In the yellow and orange house where 78-year-old Lucrecia Rivera has lived for half a century, she explains her income by adding and subtracting on the day’s newspaper. There’s $1,038 deposited automatically into her banking account every month from the Puerto Rican government, plus a $100 health care bonus. She subtracts for medical costs; she talks about how expensive groceries are on an island that imports most of its food; and she points toward her leaky roof, which got worse after Hurricane Maria. Rivera taught and supervised in public schools for 32 years before retiring in 1996. She is one of about 168,000 retirees and beneficiaries in Puerto Rico’s main government retirement systems, which are running out of money. As Puerto Rico grapples with crushing debts, a struggling economy and a growing exodus of residents to the mainland U.S., Puerto Rico’s Financial Oversight and Management Board, appointed by President Barack Obama in 2016, is pushing to cut government retiree benefits by an average of 10 percent. The U.S. commonwealth owes more than $50 billion in pension obligations to its aging population of government retirees. It owes at least $70 billion to bondholders. The island’s gross national product has shrunk 14 percent since 2006, and it filed for what is essentially a form of bankruptcy last May. With 43.5 percent of the population already living in poverty and a median household income of $19,606 – about 35 percent of the national average – the cost of reconstruction after Hurricanes Irma and Maria is adding pressure to already fragile finances. And to add insult to injury, the Puerto Rican government’s three main pension systems — the Employees Retirement System, Teachers Retirement System and Judicial Retirement System — are nearing insolvency. 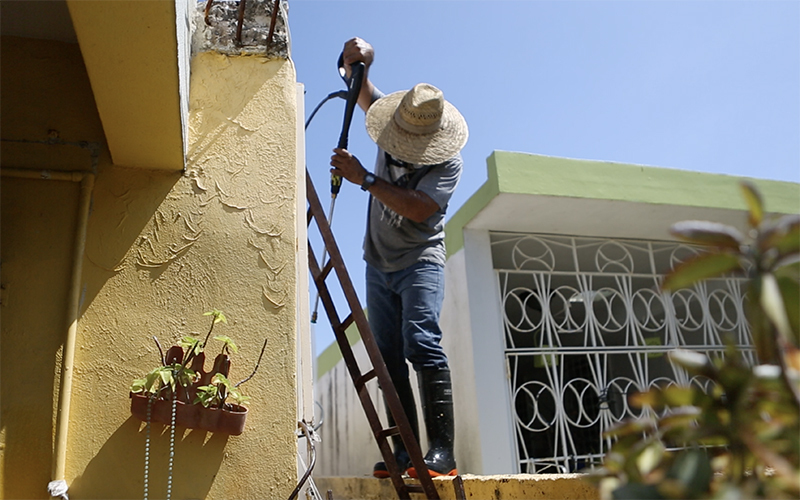 When hurricanes hit the island about seven months ago, attention shifted toward Puerto Rico’s recovery. But as deadlines to certify a new fiscal plan near, an agreement on pension benefit cuts has yet to be reached between the board and Gov. Ricardo Rosselló. The governor has consistently rejected cuts, saying they would hurt retirees already struggling on fixed incomes. 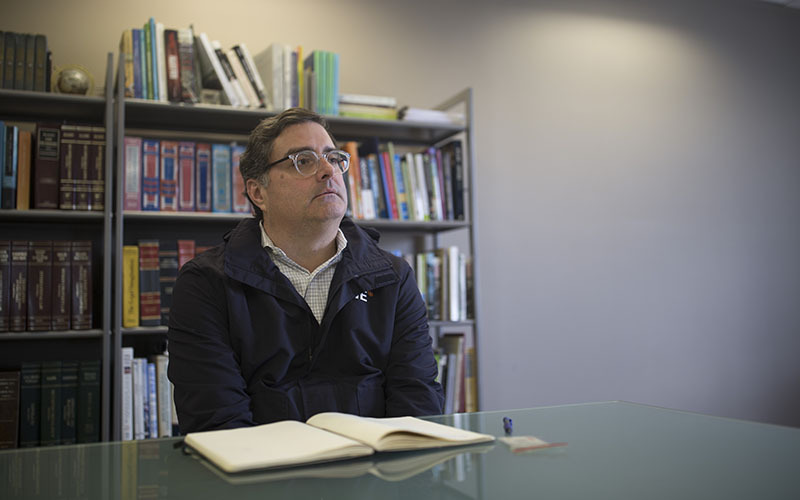 His refusal to include it and other measures in the island’s fiscal plan has spurred months of back-and-forth between his office and the oversight board. “That unfair and abusive measure will have my tenacious opposition,” Rosselló said during a televised statement, referring to the pension cuts. The governor’s office did not comment for this story. Despite a seven-page letter and pressure from the board, the governor’s most recent fiscal plan for the island does not include pension cuts. The board is expected to certify a plan in late April, and it can impose its own if it rejects Rosselló’s. But even if the board makes the final call, the Puerto Rican government still would be left to implement the plan, he said. Or not, he said. If the cuts take effect, the reductions would average 10 percent for members of the retirement systems, but some pensions would be reduced as much as 25 percent. “(The board is) asking everyone to make very, very large sacrifices,” Biggs said. The cuts would be progressive, so low-income retirees would see no or small reductions while those with the highest benefits would have the largest cuts, said Biggs, who is also a resident scholar at the American Enterprise Institute studying pensions and Social Security reform. One in four retirees would see no cuts, and about 60 percent would face a reduction of 10 percent or less, according to a memo by the oversight board. Four percent of retirees would face reductions of 20 to 25 percent. The progressive nature of the cuts would protect retirees from reductions if their combined retirement pension payments and Social Security benefits are below the poverty level, or less than $1,000 monthly. Pensioners are waiting and watching. 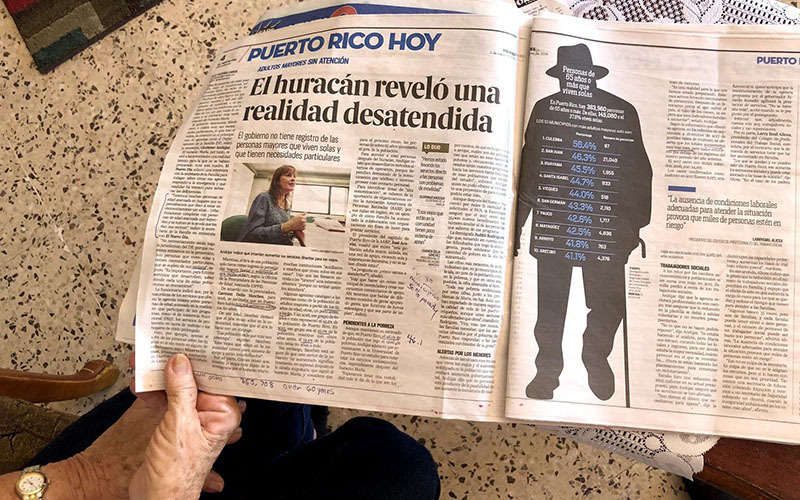 Rivera, the former teacher in Ponce, underlines statistics in newspaper articles and talks about interviews she sees on television. She said she still feels unsure of what is to come. She will be one of 168,000 retirees and beneficiaries potentially impacted if the cuts are enacted, according to 2014 and 2015 data. On an island of 3.3 million people, that’s about 5 percent of the population. Rivera has a master’s degree and spent time teaching evening and summer classes as a professor, but she only sees about $33 more deposited into her checking account monthly on behalf of that time. In total, she receives a little less than $1,200 monthly.  Retirees from the public service sector get an average of $2,223 a month in the U.S., according to a Census Bureau report in 2016. In Puerto Rico, members of the Employees Retirement System get nearly half — an average of $1,092 monthly in 2014. The poverty rate on the island is nearly three-and-a-half times the official U.S. rate. In the aftermath of Hurricane Maria, teachers are especially vulnerable to the proposed cuts because they are not eligible for Social Security, said Aida Díaz de Rodríguez, president of the Asociación de Maestros de Puerto Rico in San Juan. For decades, Puerto Rico’s government used bonds as a tool to balance budgets, relying on borrowed money rather than actual revenue. Between what is owed to bondholders and pensioners, Puerto Rico is at least $120 billion in debt. The most recent fiscal plan submitted by the Puerto Rican government said the hurricanes “temporarily set back Puerto Rico’s fiscal progress” and set objectives to eliminate inequality and bolster economic growth. The plan takes into account increased federal support and implementation of measures that would ultimately result in an accumulated $6.3 billion surplus by 2023, before debt service. After debt service, the plan shows an accumulated $9.4 billion deficit. There were no pension cuts in the plan. Puerto Rico’s government is the island’s top employer, providing jobs for about 20 percent of its labor force. But for decades, the island’s government did not adequately fund the three main retirement systems, leading them toward insolvency. The board’s proposed reforms would move all current government employees, including judges and teachers who may still have defined-benefit or hybrid retirement plans, to true defined-contribution plans. The money employees pay into their accounts throughout their careers would be managed and invested separately from existing plans. The reforms would also shift the teachers, employees and judicial retirement systems to pay-as-you-go funding so that the government would directly pay pension benefits out of its budget. All new employees, including teachers and police officers, would participate in Social Security. 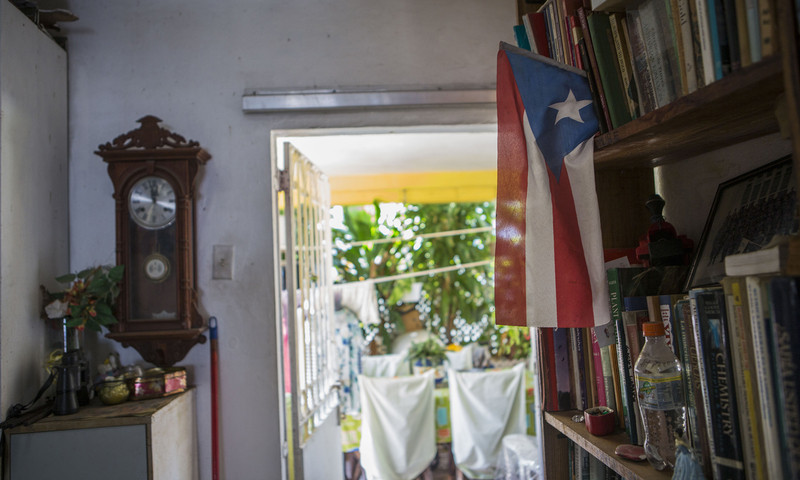 “There is a lot of uncertainty; too much,” Annette González Pérez, president of Servidores Públicos Unidos de Puerto Rico Council 95, said in Spanish. SPUPR represents thousands of active workers and retirees as the local council of the American Federation of State, County and Municipal Employees. 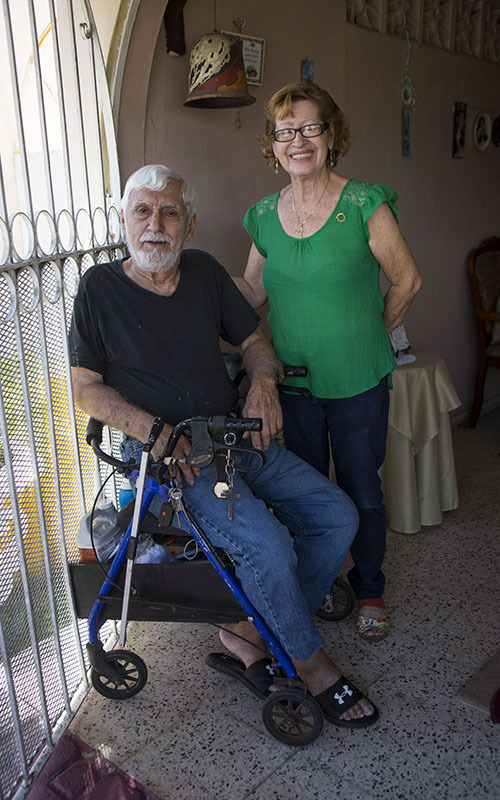 Rivera’s home in Ponce is paid in full, but she and her husband, Lizat De Jesús, haven’t gone out to eat much in the past three years. She said it’s better not to spend the extra money with so much uncertainty. Especially now, with the roof. She is paying to get it fixed before it starts raining again, she said. The repairs are estimated to cost at least $5,000. “We are paying really expensive prices,” she said. “The food is more expensive. We need to repair the house, which has some problems. But we don’t know what to do. We don’t know what will happen next year.